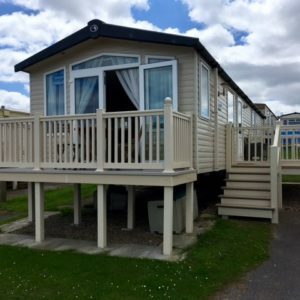 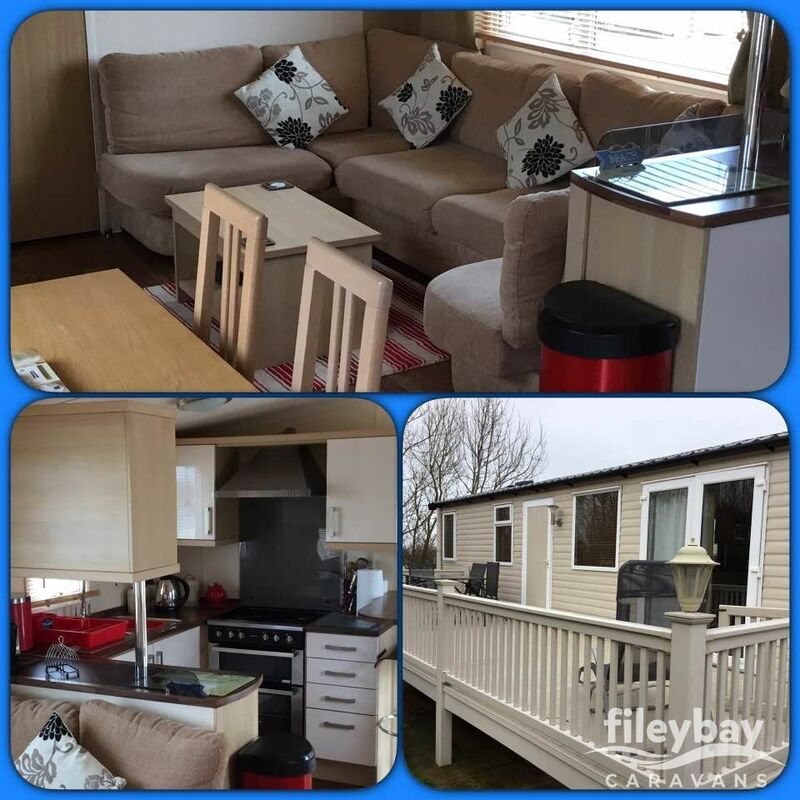 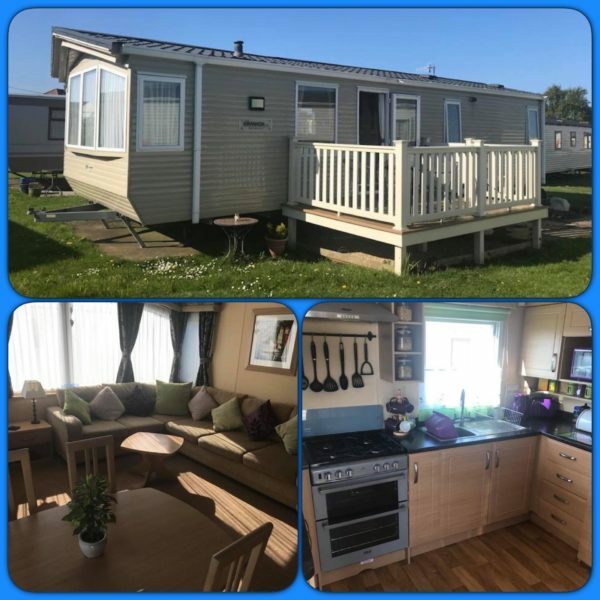 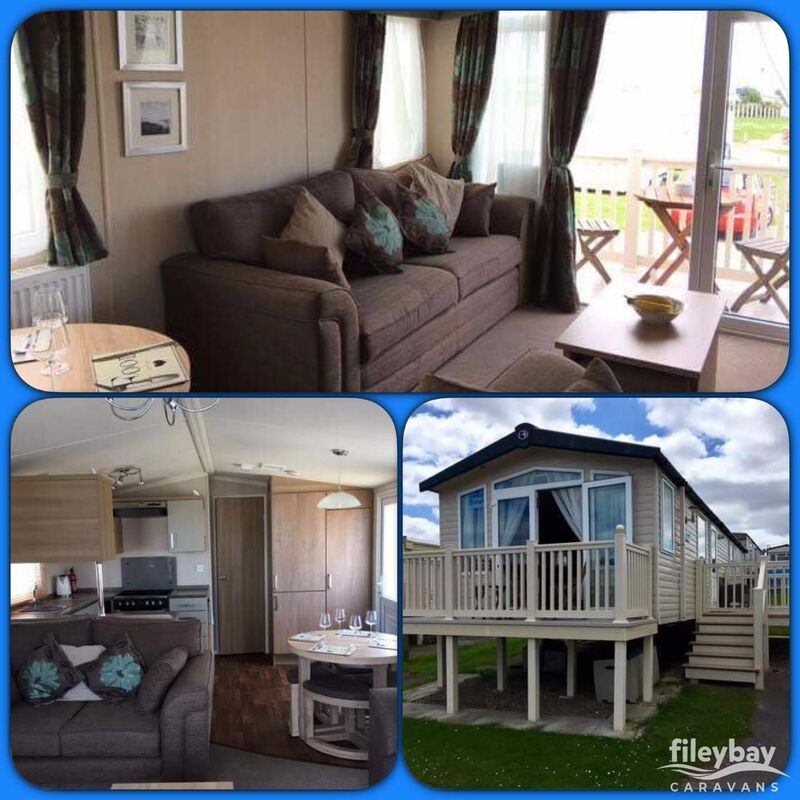 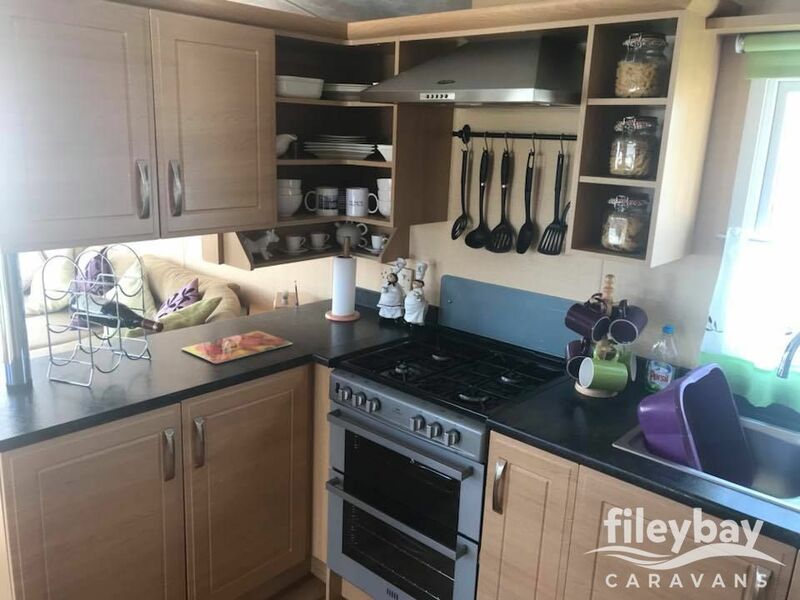 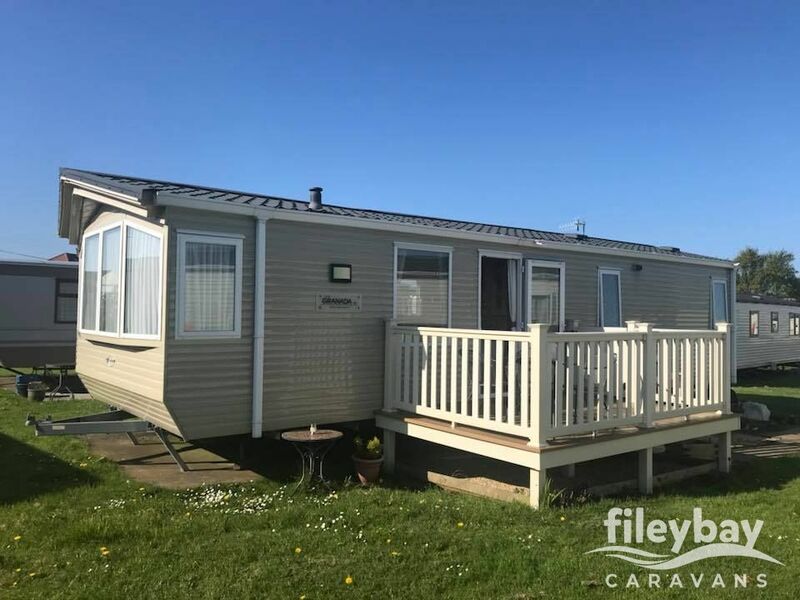 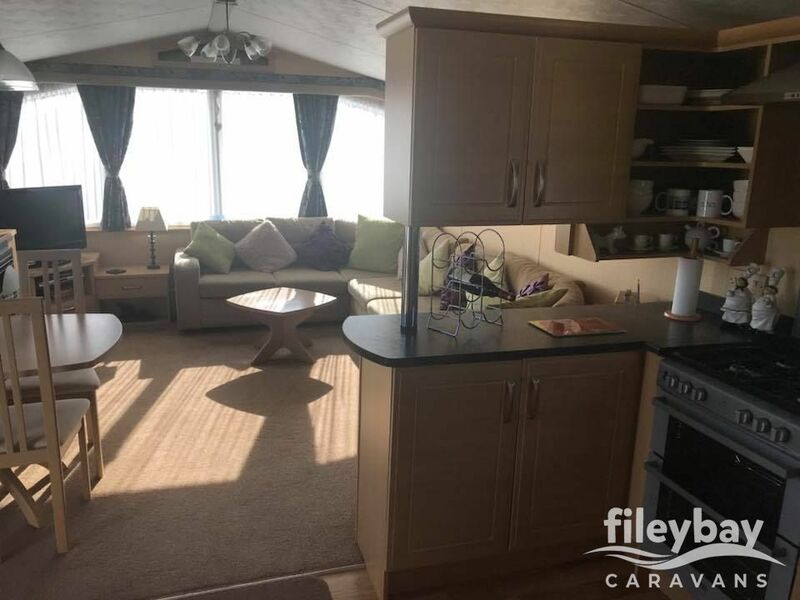 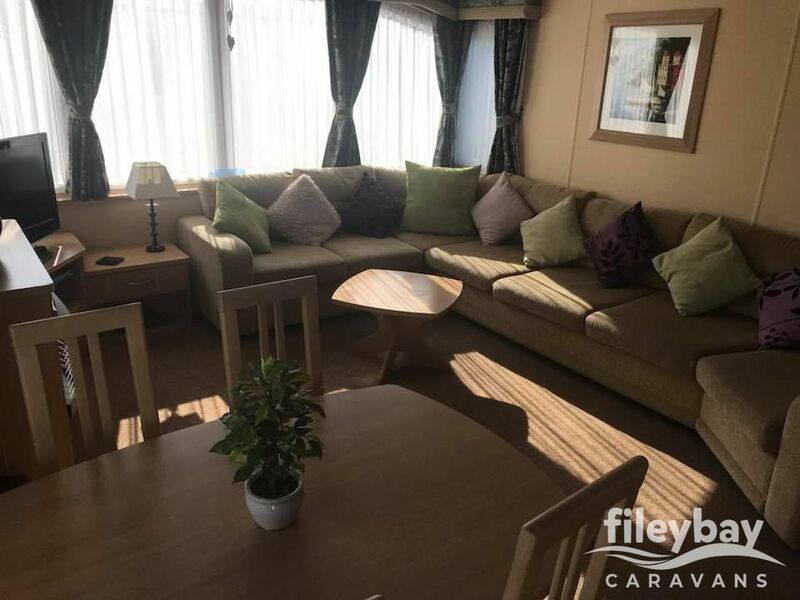 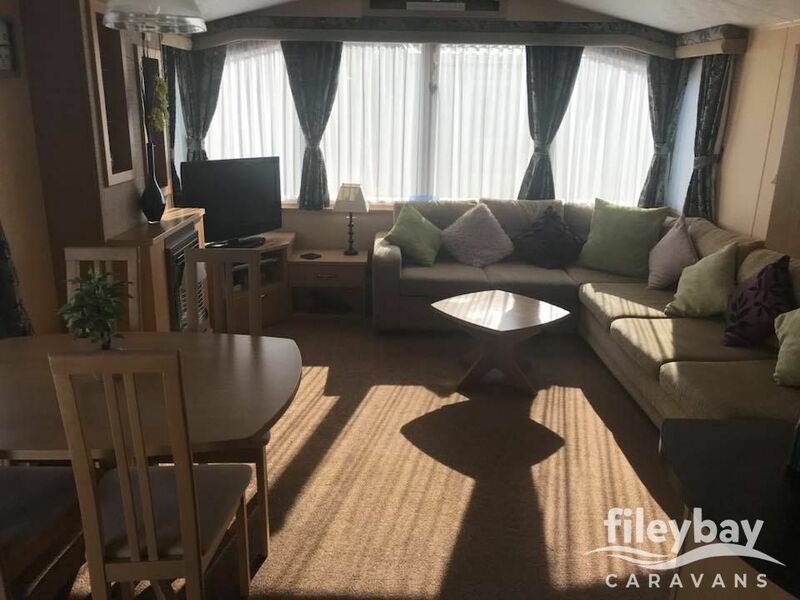 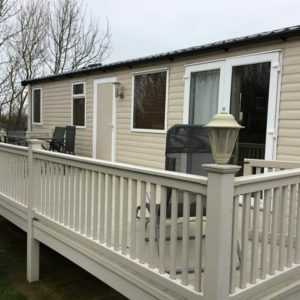 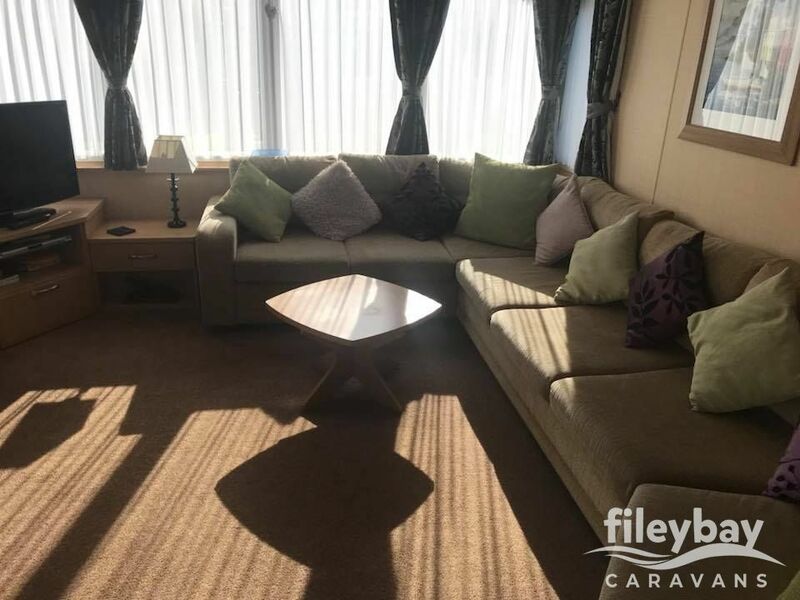 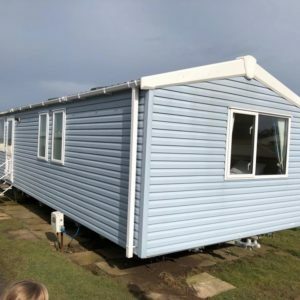 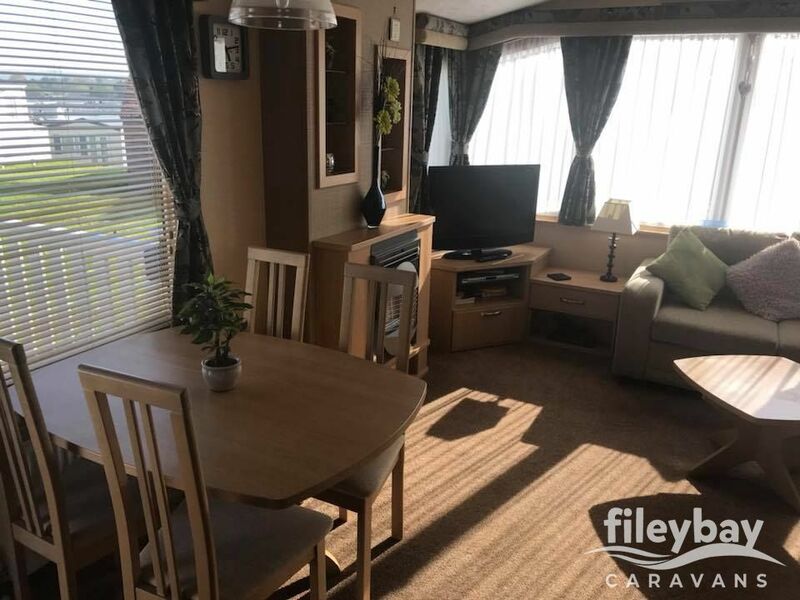 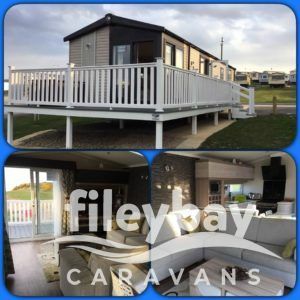 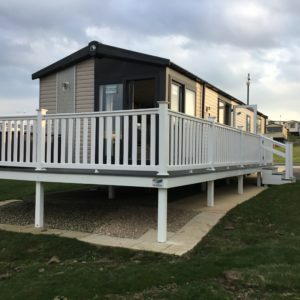 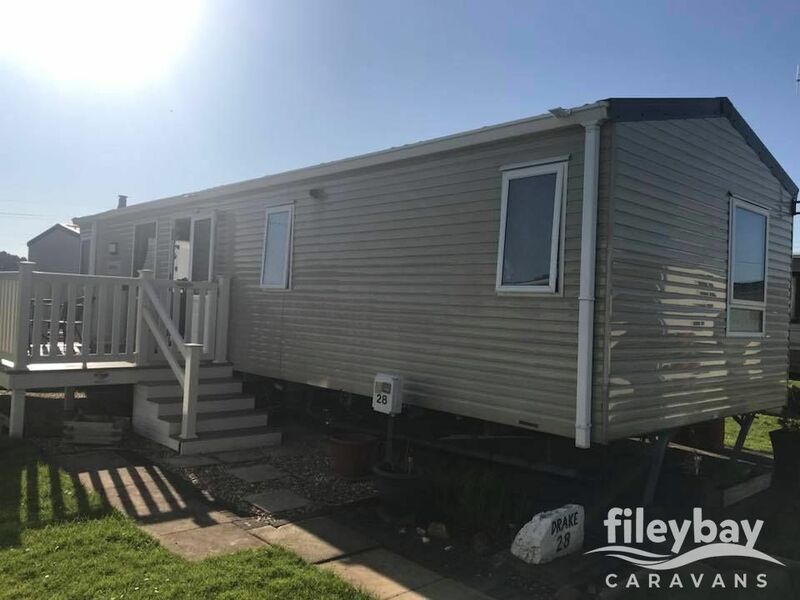 Here is our Willerby Granada, sited on Cayton Bay holiday park. 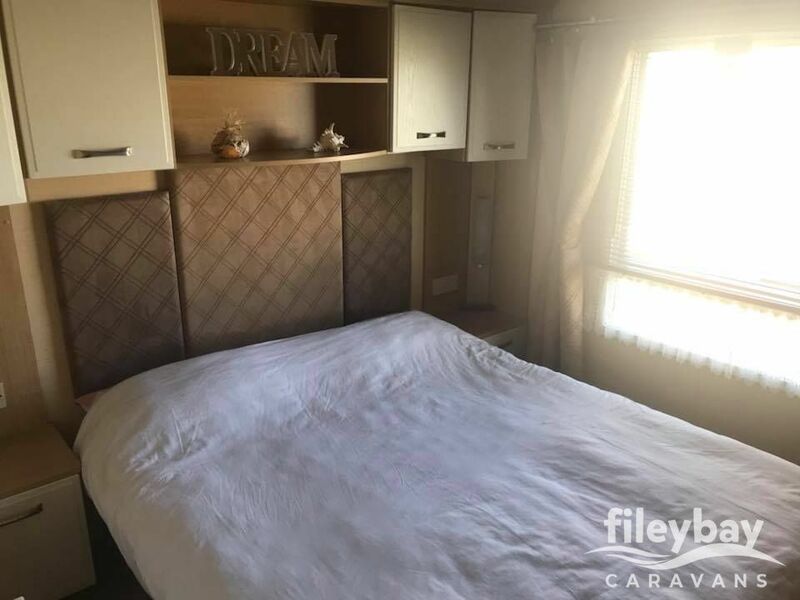 – Pullout bed in the lounge. 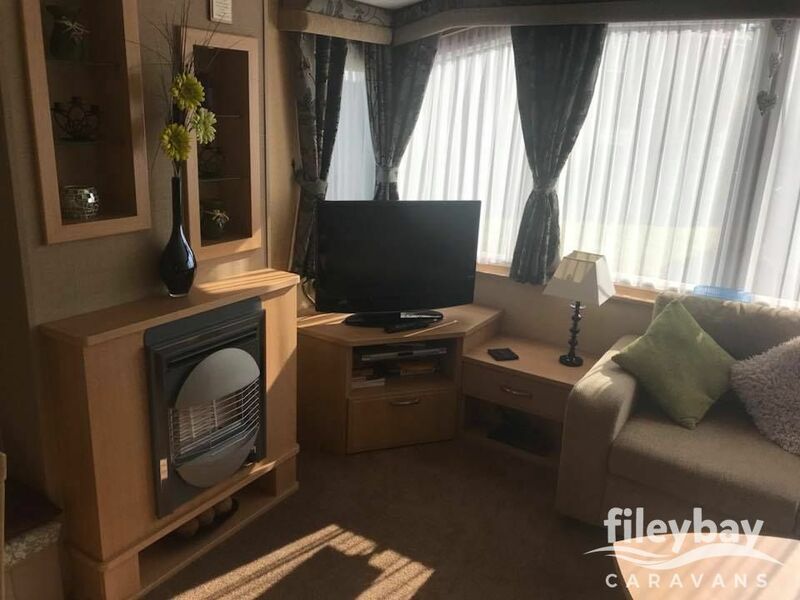 – Flat screen TV fitted with freeview & a DVD player for your entertainment. 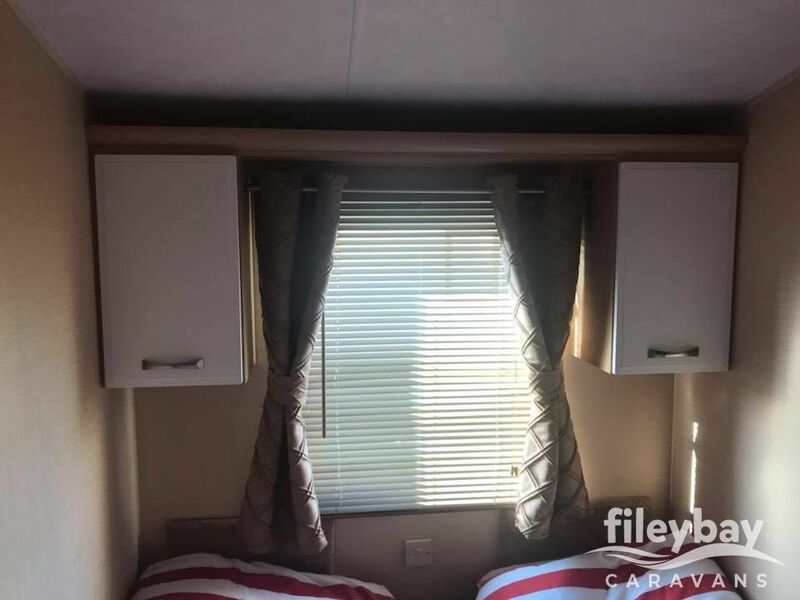 – Flat screen TV mounted in the master bedroom. 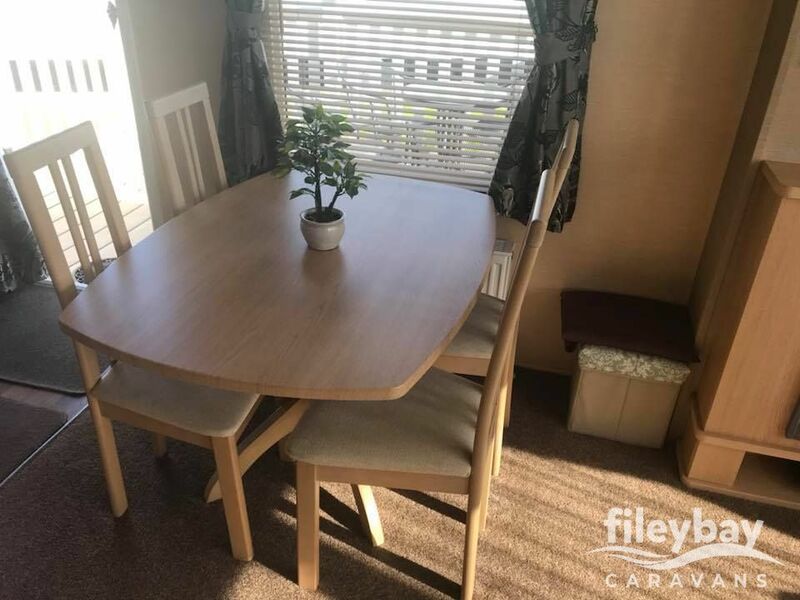 – Enough cutlery & crockery for up to 6 people. 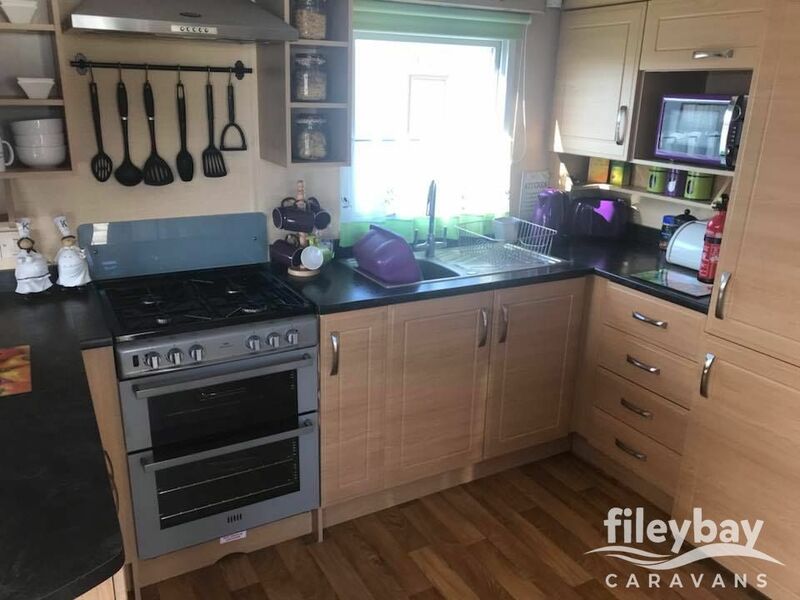 – Full size integrated fridge/freezer. 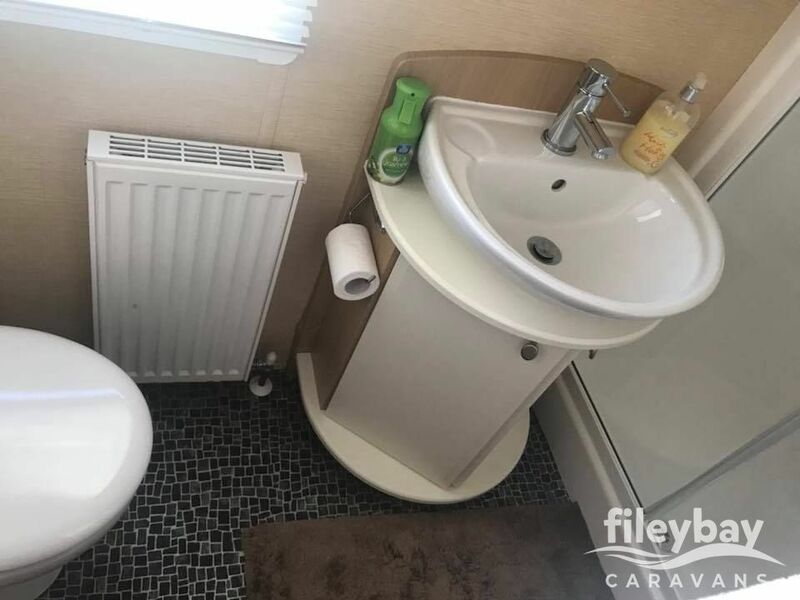 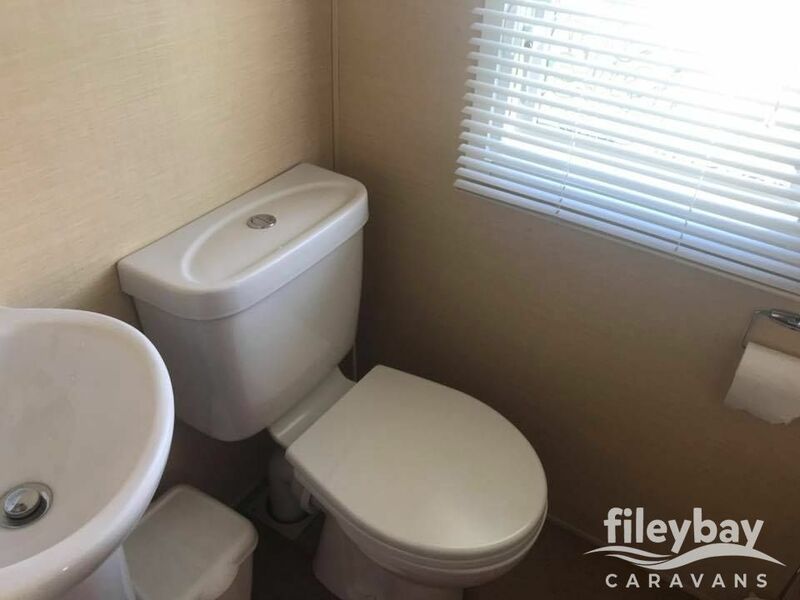 – 2x Toilets (En-suite in the master bedroom). 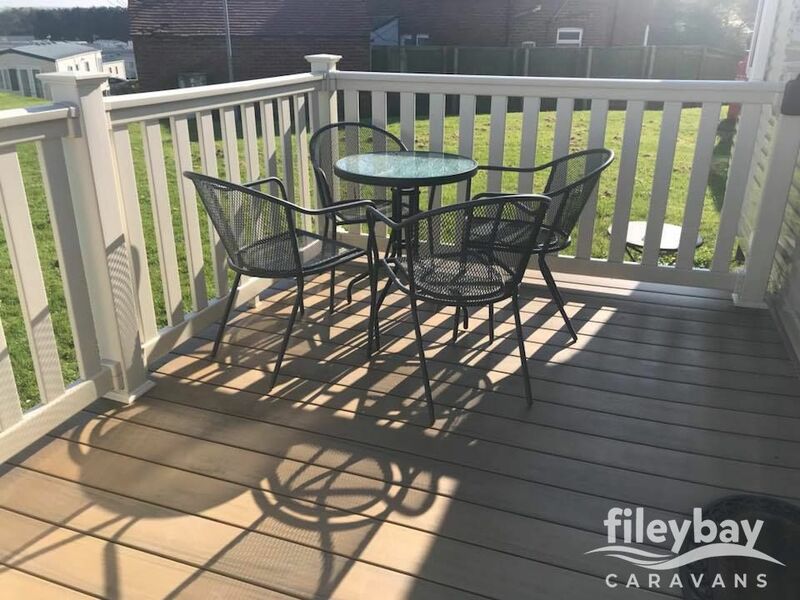 – side decking with outdoor seating. 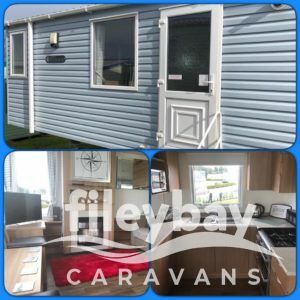 – You can park on the grass beside the caravan or in a nearby communal area.